Beach Yoga and Surf Lesson. Includes 45 minutes of yoga followed by 1 hour of surf lessons. Surfboard is included in the cost. 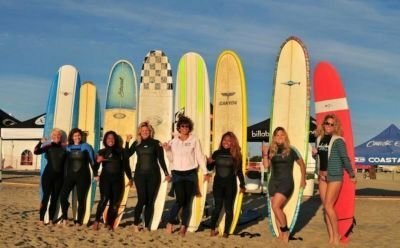 Taught By Professional Surf Instructors from Vb Surf Sessions. Event is on SEPT 23 from 7 AM to 9 AM. Location is 2nd Street Oceanfront, Virginia Beach, VA 23451. For More Specific info on location, google Grommet Island Park.